Restores moisture and protein lost during chemical services or exposure to the sun. The natural blends of aloe and other essential botanicals restore the hair shaft of chemically treated and sun damaged hair. 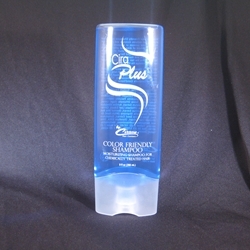 This shampoo magnifies shine and manageability and continual use strengthens the hair shaft to retain color and curl which prolongs the life of future services.